Have your kids started school yet? Our neighborhood starts in a few weeks. I thought it would be fun to make these printable locker quotes. They are short and simple, but can have such an impact on daily life. These quotes are great to use as a gift for Young Men and Young Women who are starting school. 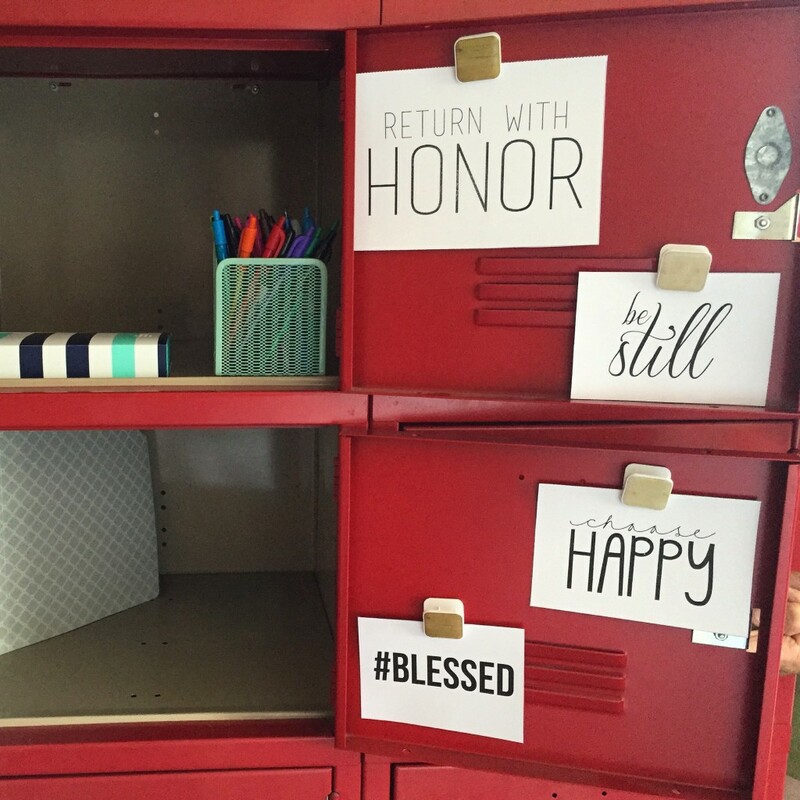 These can be used in lockers, but would also work great as room decor (and not just for teens). 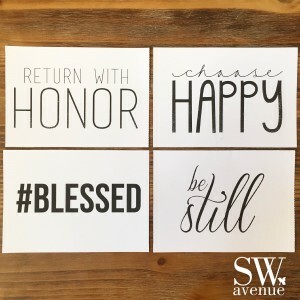 I plan on using the “be still” quote in my family room, and the “Return with Honor” quote right next to the front door. I think all of these quotes can be helpful to any of us at different times. How would you use these quotes? 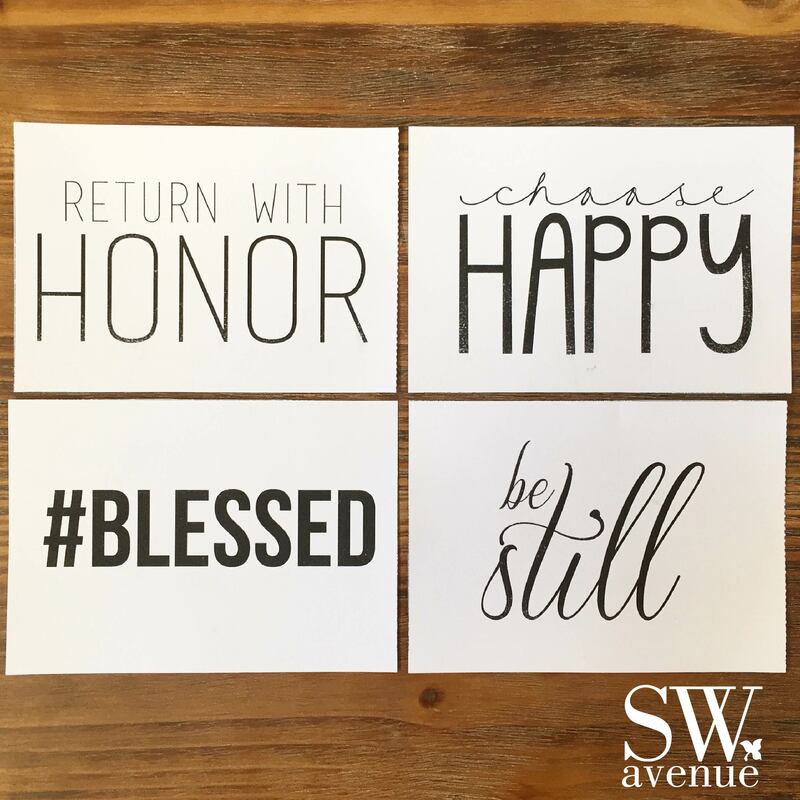 This package comes with 4 quotes in 3 different sizes (3×5, 4×6, and 5×7) and can be purchased here. This entry was posted in Printables, Quotes, Youth and tagged Melanie B., SageWood Ave Designs on August 2, 2016 by Melanie Biddulph.